Superdry men’s Applique cut & sew long sleeve t-shirt. This long sleeve tee is an essential for your off duty attire, pair this tee with jeans or trousers and you will be bang on trend. 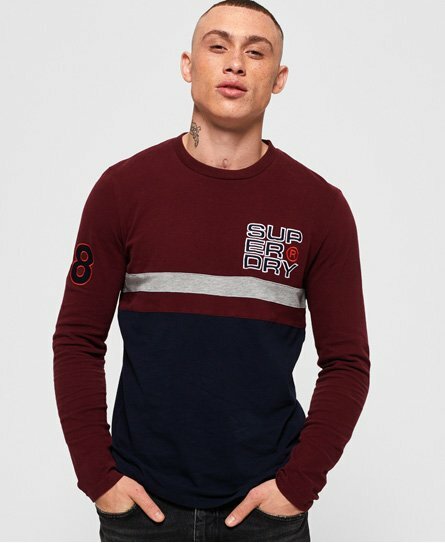 Featuring, a classic crew neckline, long sleeves with a number logo on one and an applique Superdry logo on the chest. The colour panel design of the tee makes it a versatile option to partner with a variety of colourways in your wardrobe. This long sleeve tee has been finished with a Superdry patch above the hem.